Curious Festival is a celebration of the experimental cross-arts work by students from the Guildhall Masters in Leadership Course. 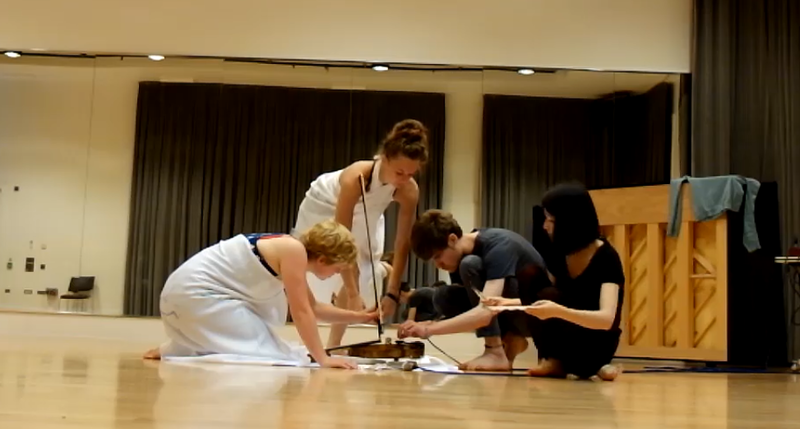 The first year Leadership students collaborate with students from Central St Martins to produce original work. For the second year leadership students the festival is an opportunity to revisit their final research performance and present some of their work in a safe but exciting environment. Besides the individual work there are group performances by all the leadership students and performances by guest artists. Performances include live music, visuals, dance as well as installations, discussions and open workshops. 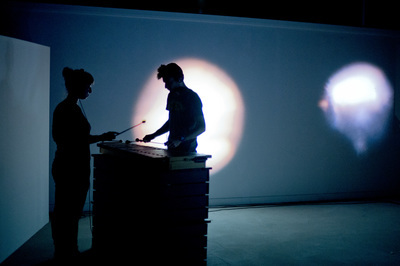 This years festival took place in Fish Island Labs in east London. 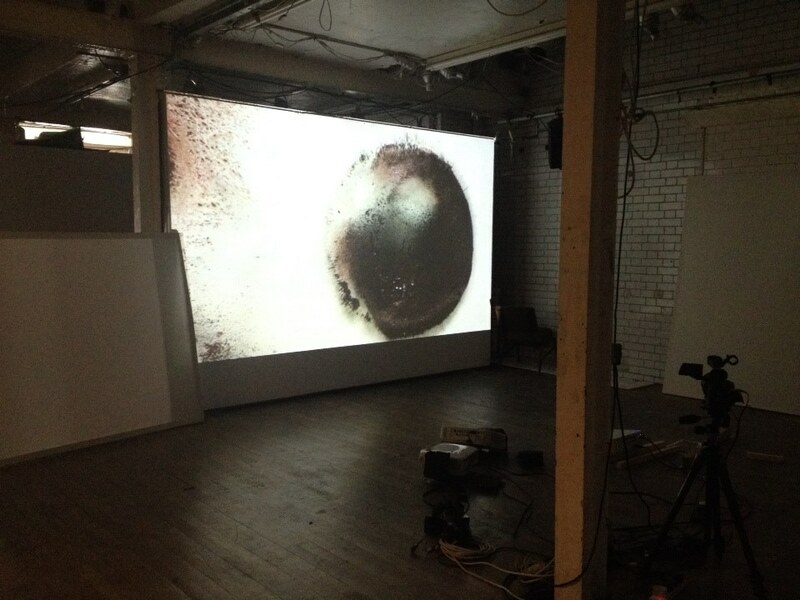 I was lucky enough to collaborate with Marie van Berchem (visuals) and Seth Scott (electronic artist). With transition as the overall theme we explored the relation between transitions and perception. 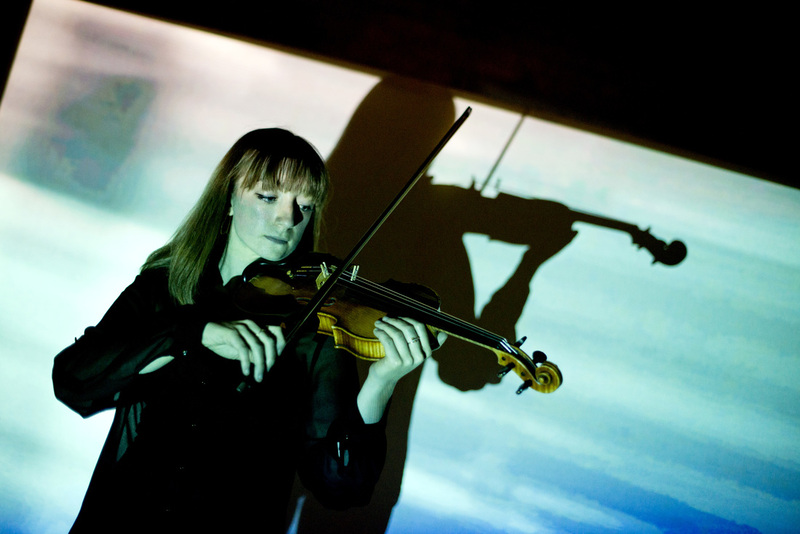 In the music Seth and I focused on the constantly changing harmonic function of one note, the feeling of pulse and the transition between electronic music and acoustic violin. 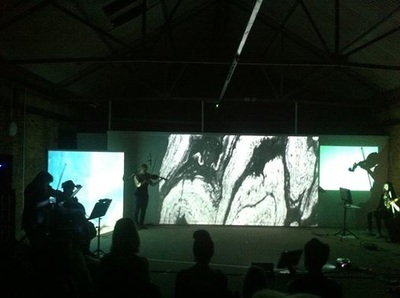 The final piece involved 3 different screens with visuals, a string quartet and live electronics. 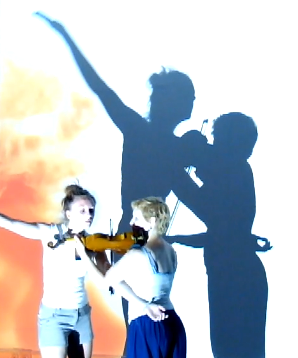 Alongside the project with Central St Martins I had the privilege to work with Seth Scott (electronic musician), Hannah Rotchell (dancer) and Abigail Yue Wang (visual artist). 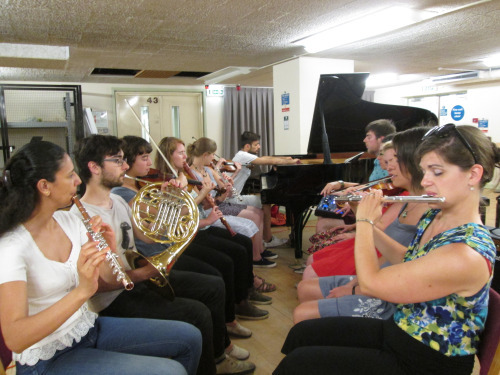 We were given an amazing big space in the Guidhall School of Music and Drama which we used for a one week residency. It became an experimental week in which we explored different creative processes to create live performance using electronics, dance and visuals. 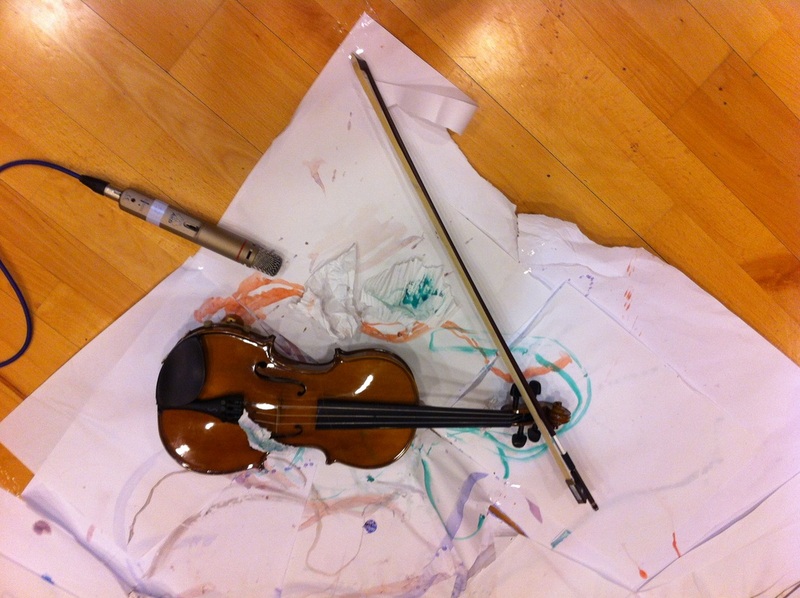 We tried the most crazy ideas using instruments, paint and microphones while moving around in white fabric. 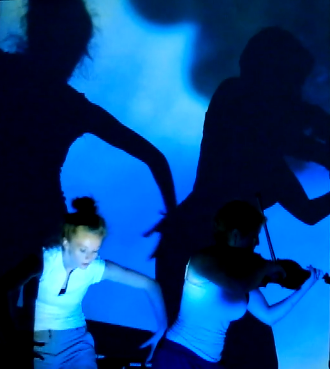 During the festival we performed a 10 minut improvisation using violin, dance, live electronics and visuals. This year the created work was inspired by the theme 'Station to Station'. Station to Station is a project by Doug Aitken, a 30 day happening which took place in the Barbican Centre. During the final evening of the festival I performed twice. One piece for electronics and violin improvisation by Bryan Crook and a final performance with my classmates created during Creative Lab. 4o5 is a piece by Bryan Crook for electronic sound track and violin improvisation. Over the course of a year I have been working with Bryan. In our collaboration we have explored the relationship between electronics, acoustic instruments and improvisation. 4o5 is an always developing piece. 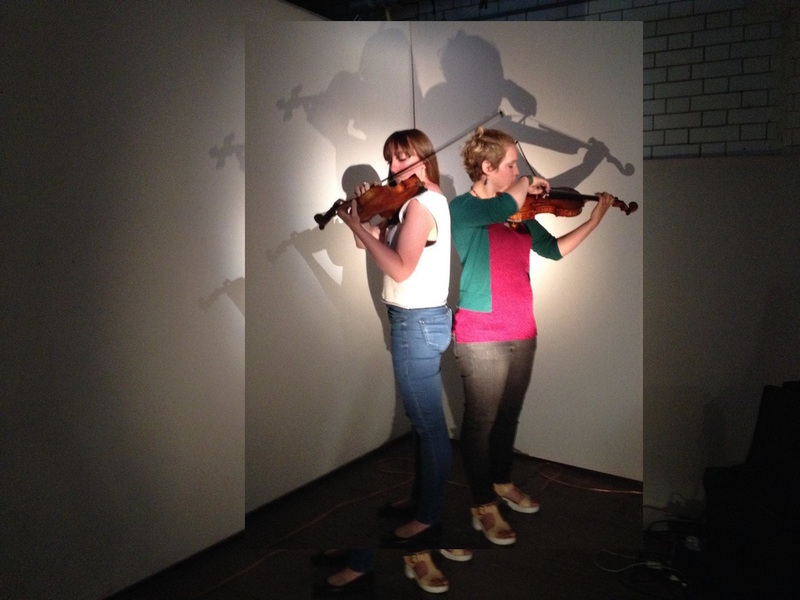 This version is an interpretation by violinist Ella Virr and me. Creative Lab is a space for the Leadership students to experiment and try out ideas. Guided by tutor Tim Steiner we explore group composition, improvisation and leadership styles. For this specific performance we used the two closest tube stations to our school, barbican and moorgate, as inspiration for our piece.